Located smack dab in the middle of the Geneva-On-The-Lake (GOTL) "Strip". Large porch that provides views of all GOTL passersby. Private backyard featuring gas grill and fire pit. Large Kitchen with island, all new appliances and coffee bar. Dining room table seats 8. 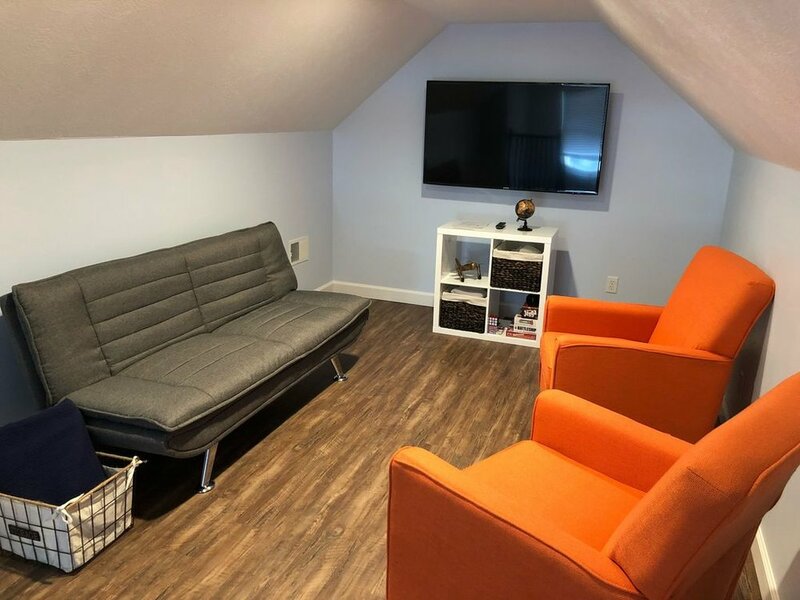 Bonus "lounge" room on third floor with 50" TV. Brand new memory foam beds.